Welcome to Pro Image Graphics! 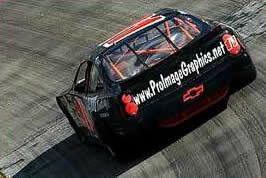 Offering complete graphic services for racing, commercial needs, and more! Proud to be associated with JohnBoy & Billy Rock 'n' Racing!